Resene has a range of services to help you with your painting or decorating project. With an extensive network of Resene ColorShops and Resellers, Resene paints, wallpaper and painting accessories are available to virtually all home owners and renovators. Click here to see your nearest Resene ColorShop. Expect and enjoy professional advice every time you visit a Resene ColorShop. When you visit a Resene ColorShop you'll receive helpful paint and colour advice from trained professionals whose expertise are respected by leading trade painters and architects. Or see the how to paint your home and using colour sections on this website for ideas and information. We have a free ‘Ask a Technical Expert’ and ‘Ask a Colour Expert’ service online to help you with your queries and Resene colour consultants are available to visit your onsite or help you in store with your colour choices. Book your appointment now. Resene have a unique colour system, the Resene Total Colour System, which includes a huge range of colours and colour selection tools, from colour charts through to virtual painting software. Colour charts are available for ordering online or you can pick up copies at your nearest Resene ColorShop. Like a virtual library of colour, the Resene online colour library enables you to view an extensive range of Resene colour swatches, then download the ones you like to your own computer. 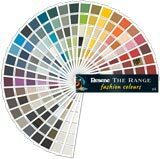 Over 3000 Resene colours are available as electronic colour jpgs for direct viewing on this website. All Resene colours are available in our famous testpots. Purchase your favourite testpots from any Resene ColorShop or online and see what your favourite colours look like in your own home. Resene EzyPaint allows you to see the finish before you even start redecorating. No more worrying whether those two colours go together - you can now try them out for yourself. If they don't look right together, just keep trying other combinations until you create a scheme that is right for you. Use Resene EzyPaint to create a quick colour scheme using the extended gallery of over 200 interior and exterior images in just a few minutes, or really impress everyone by virtually painting your own home or project in an hour or so. If you aren't confident with colour schemes, choose from colour scheme ideas included in the software. Print, save and email your selected colour scheme and then start on a new colour scheme using a different picture if you wish. And if you'd prefer to let someone else do the pathing and focus on the colouring, ask about our timesaving EzyPaint pathing service at any Resene ColorShop. Download your copy of Resene EzyPaint Standard or Pro free. To help select the best paint system for your next project, use Resene TechSpec, a virtual specification tool. Simply select your substrate, answer questions regarding critical aspects of your project such as interior or exterior exposure, desired gloss level and existing surface conditions and Resene TechSpec will select the system that meets your requirements. All questions are designed to eliminate potential coating system options until you are left with the one option that best suits your needs. Use Resene TechSpec to determine the products that are best for your project. Let the Resene Find-A-Painter service take the hassle out of your next redecorating project by finding you a Master Painter to complete your project. With a Master Painter on the job you can enjoy a quality finish while you sit back and relax. To use the Resene Find-A-Painter service simply complete the online form. Need help designing or decorating. Use the free online Find-A-Professional service to find architects, designers and decorators to assist with your project. Enjoy the Resene promise of quality when you buy Resene premium paints. If you’re keen on painting and decorating, you might decide you’d like to make it your career. See our listings of design and painting courses that can help you with the skills you need to get started. Interested in a better environment? Resene is too. Resene is a clear leader in environmental paint technology. Resene now has the largest range of Environmental Choice certified paints. See our environmental section for information. If you need to hire a professional painter, try a Resene Eco.Decorator. They are a nationwide network of painters focused on sustainability and quality finishes. Finished painting and have leftover paint and paint packaging you don’t need? Return it to our Resene PaintWise recycling service. Available in selected areas. See our PaintWise section for more information.